I’m so excited to be joining Wayfair today for the Taste Maker’s Table. Today is the first day of fall, and right on cue the leaves are starting to change colour where I live. We have a forest behind our house, and every year there are a few maple trees that are the first to change colour from green to beautiful oranges, yellows, and reds. The changing leaves inspired this table. 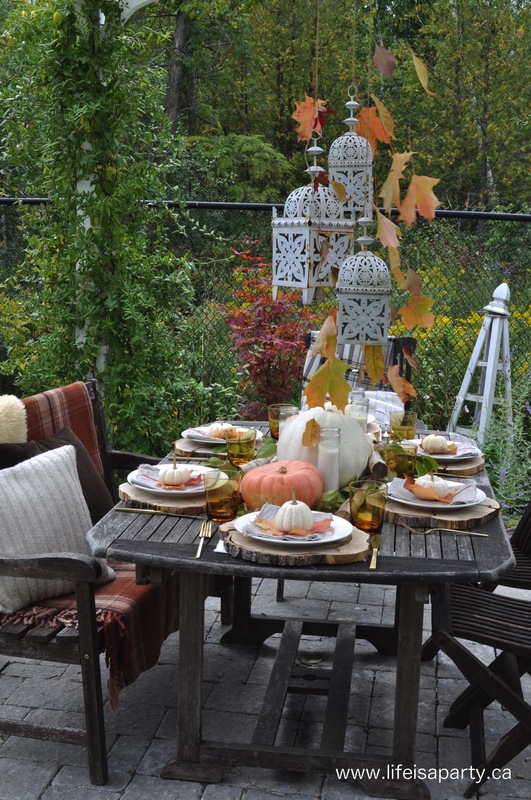 We have a pergola over our back patio and I thought it would be the perfect place to set up our fall tablescape. 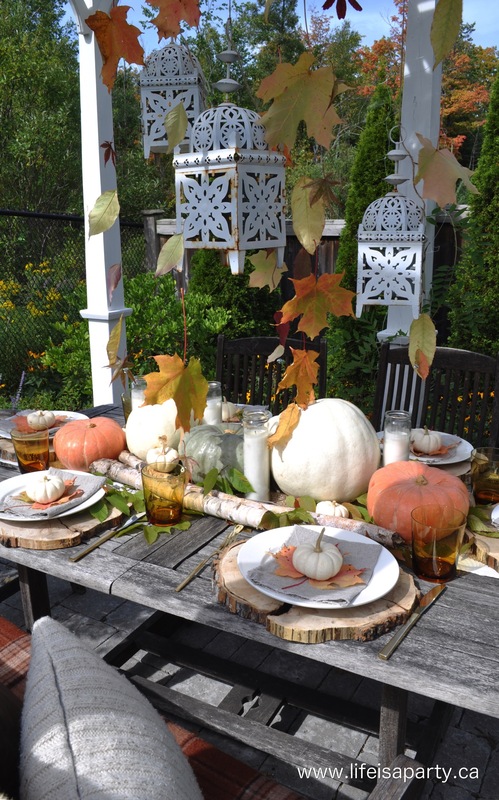 One of my favourite details, and the starting place for this tablescape, are the pretty leaves hanging over the table. I went for a little walk with my puppy in the morning and collected them in the woods. 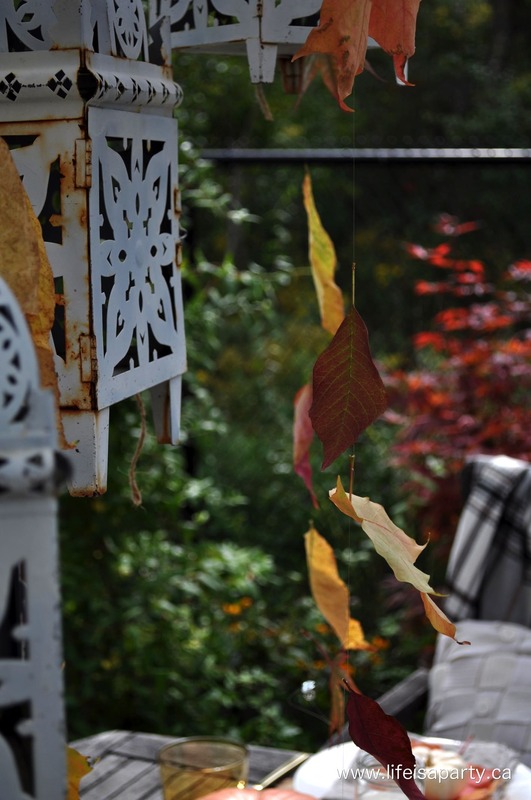 I strung some fishing line from the pergola and tied the leaves on to it. Since there was a little breeze, I also tied a few nuts -as in nuts and bolts, onto the end of each piece of fishing line to help weigh it down a little. The leaves looked so pretty blowing in the wind. 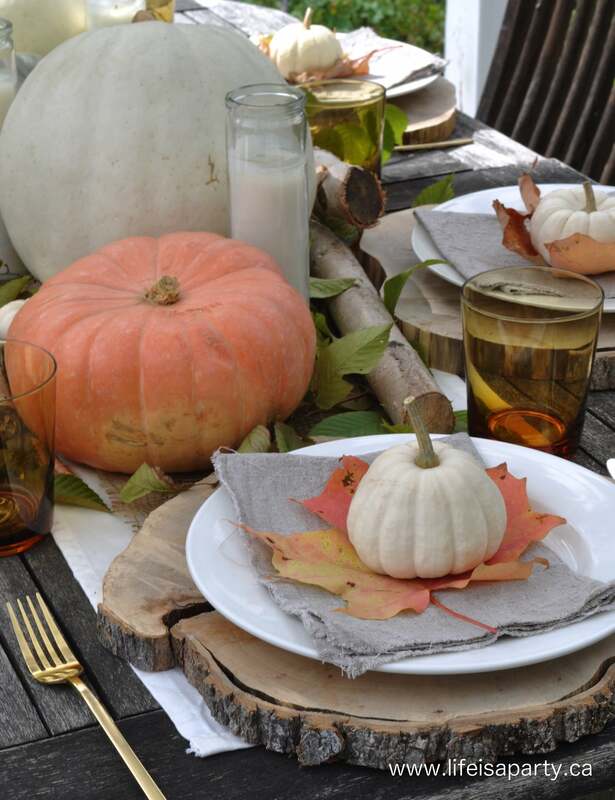 For the table, I started with a white runner down the middle and layered a burlap one on top of that -find some more inspiration from Wayfair’s beautiful table linens. Next came some small branches and leaves. 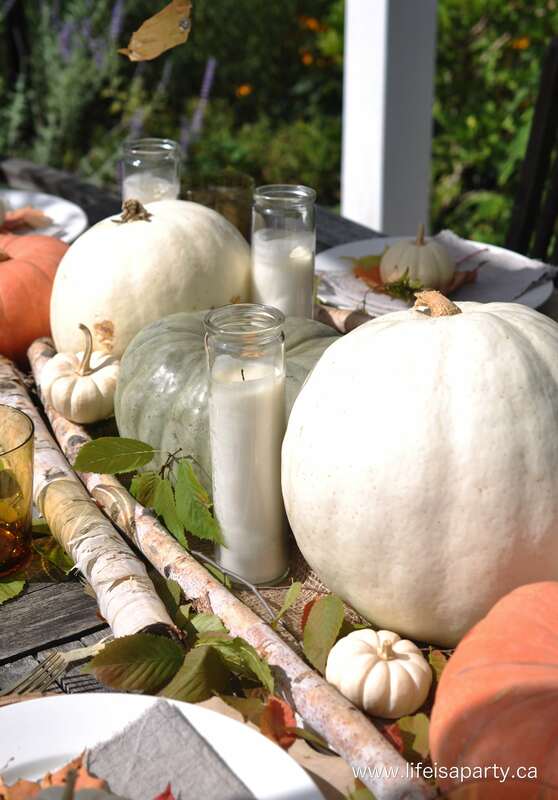 Then I layered on some pretty pumpkins, birch poles, and candles. 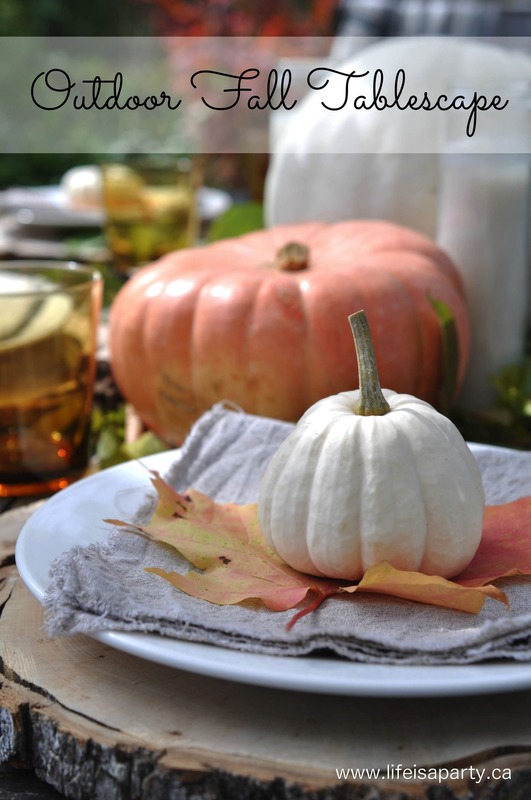 I love the different soft colours of pumpkins. Next I added in the place settings. I used my wood round chargers for a real rustic look. 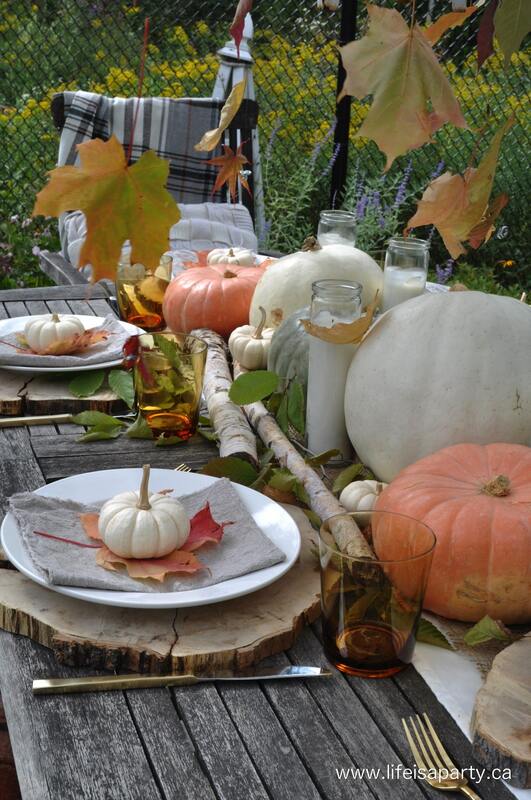 I also used simple white plates and gold cutlery, along with some amber glasses I’ve had for years. 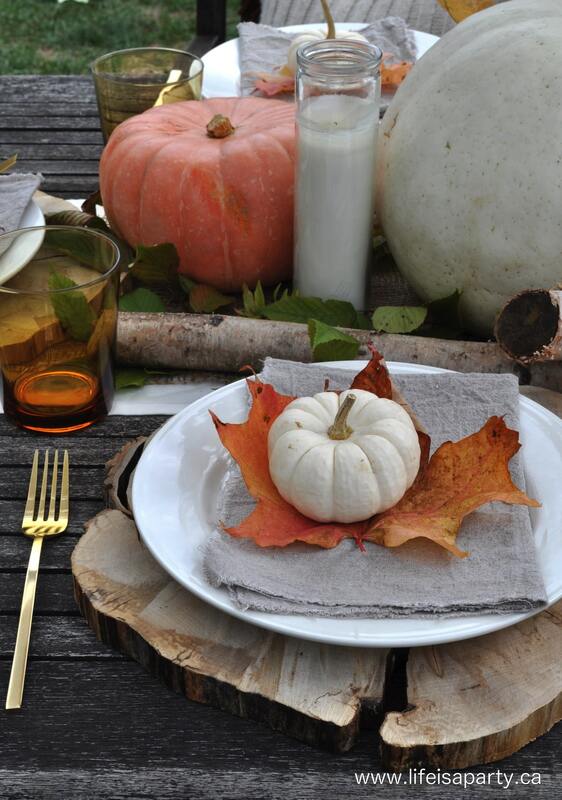 On everyone’s plate, I layered a simple linen napkin, another pretty leaf, and a little white baby boo pumpkin. 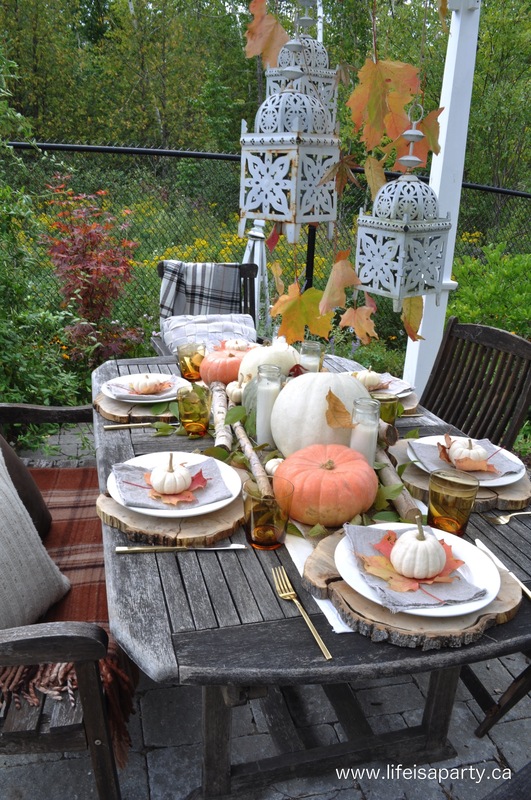 With the sun shining, a gentle breeze, and view of the forest this is the perfect spot for a fall dinner. 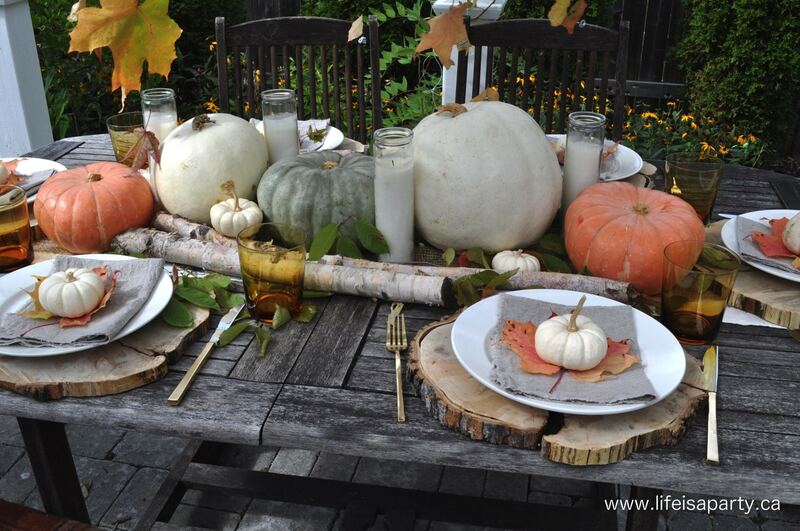 With a pretty Outdoor Fall Tablescape like this one, life really is a party! OMG this is amazing!!!!! Can I please come over and hang out with you ???? 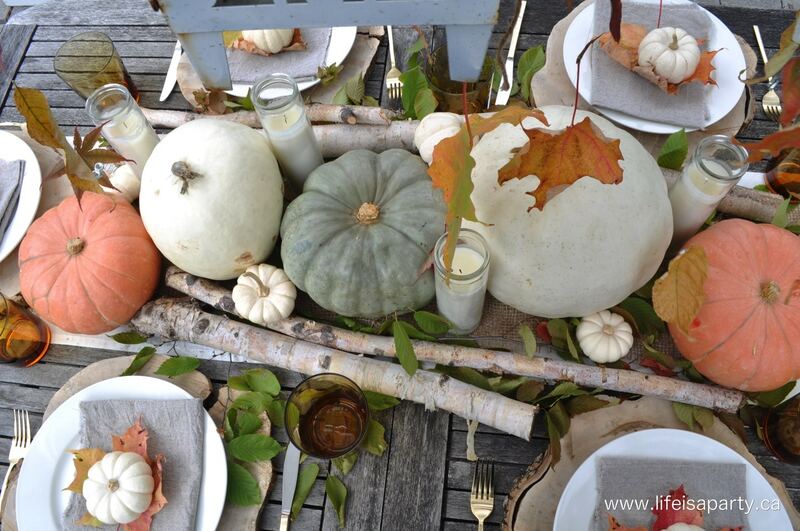 Such a gorgeous table setting !!!! PINNING!!!! Thanks Christine, and yes please come over and hang out. This is beautiful Dannyelle! I love that you used real leaves in a mobile above the table! Thanks Ariel, isn’t fall just the best season. Love fall leaves. 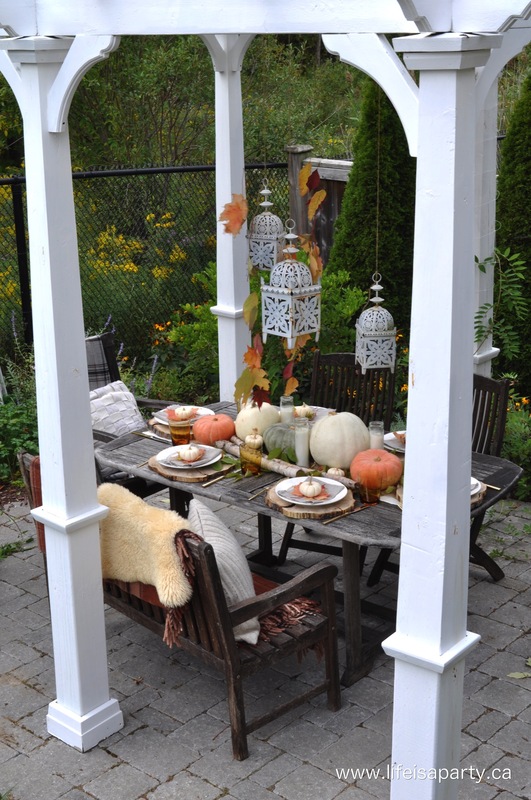 Yes I would agree, your pergola was THE perfect place for your fall table! I love everything about this Dannyelle! Just gorgeous! 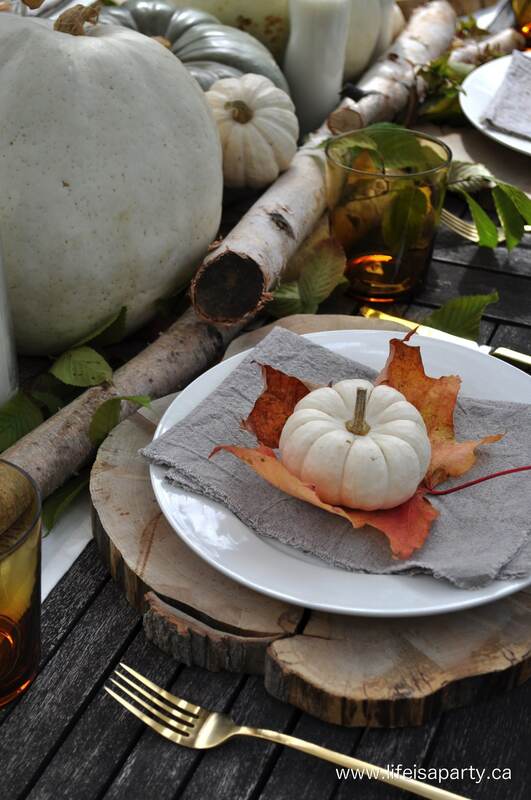 Love the wooden tables as placemats. Love this look!